In Georgia, the court hearing a child custody case (including divorces) has the power to appoint a guardian ad litem to represent the child’s interests and express those interests to the court. This article answers a couple of common questions about guardians ad litem in Georgia. For more information about Georgia divorce law, see our Savannah Divorce page or our Savannah Child Custody page. A guardian ad litem is someone (most times an attorney) appointed by the Court to represent the child or children in a legal action concerning the child’s custody or welfare. 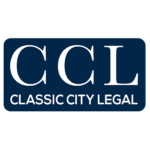 Our Savannah child custody lawyers use them frequently. The Guardian represents neither parent in the dispute but instead represents the best interest of the child. Many people wonder why a court would think that the parties (usually parents of the child) would not have the concerns of the child in mind. However, in many cases, the parties to the case are so wrapped up in his/her own problems or needs that they fail to see the situation from the perspective of the child. The court appoints the guardian to have reasoned advice from someone who does not owe any allegiance to either party. The guardian can be objective in investigating and recommending the best outcome for the child. If you think you may need a guardian ad litem in your divorce, child custody modification or legitimation, feel free to contact our Savannah Child Custody lawyer today at 833-732-6529.